One of the best authors/ series finds I've had in the last few years is the wonderful British mystery novelist, Elly Griffiths. I picked up the first book, The Crossing Places, on a recommendation and my god, I was hooked fast and hard. At the time my obsession began, there were 5 books out. I read all of them over a weekend, taking time off only to eat and sleep. I was lucky enough that a coworker of mine got hooked at the same time so we can happily discuss the books and the characters to our hearts content, secretly hoping that the characters were real people and alway wishing for the next book to arrive. 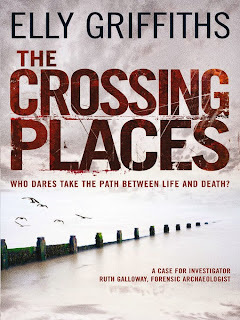 The series is about forensic archaeologist Ruth Galloway. When she's not digging up bones or other ancient objects, Ruth lives happily alone in a remote area called Saltmarsh near Norfolk. 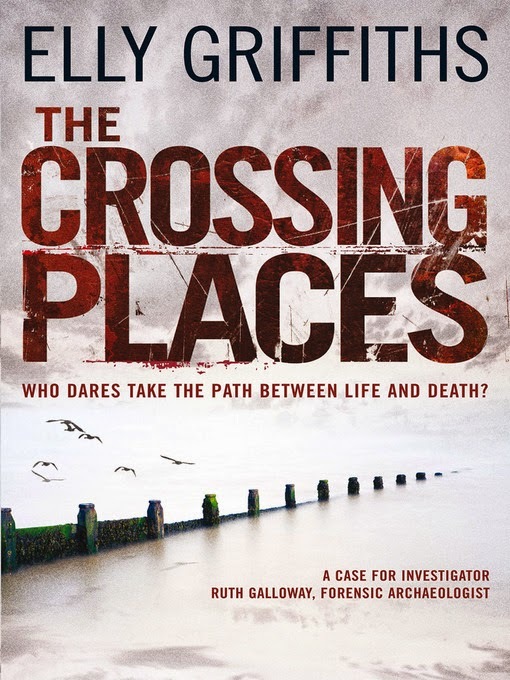 In book one, The Crossing Places, Ruth is called in to assist on a case by Detective Chief Inspector Harry Nelson. A child's bones are found on a desolate beach and Nelson thinks they may be the remains of a little girl who went missing over a decade ago. Despite her discovery that the bones are actually two thousand years old, Ruth is drawn into the disappearance of Lucy Downey. Then another child goes missing and the hunt is on to find her and her kidnapper. Ruth Galloway is one of my favourite mystery solving ladies. She is relatable, clever, and funny. While the mysteries are entertaining, it is the characters that keep you coming back for more. Looking for a new series? Look no further.